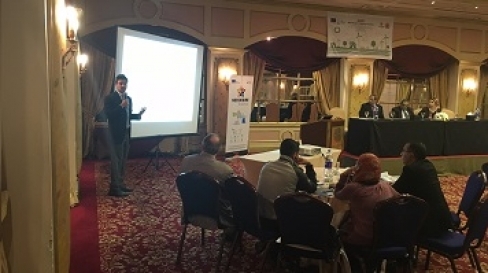 Today starts in Cairo the training sessions “Innovative regulatory instruments for local support to distributed solar technology: Solar Ordinances”, organised by the Italian Ministry for the Environment, Land and Sea (IMELS) and Studiare Sviluppo in collaboration with the Egyptian New and Renewable Energy Authority (NREA). The course is arranged in two training days. During the first day NREA Representatives will introduce MED-DESIRE project and will speak about the potential role of NUCA in the solar ordinance process. Marco Calderoni, Politecnico di Milano, will then speak about solar thermal technology, explaining its main applications and working principles. The second day the potential of solar ordinance in Egypt will be discussed by Franco D’Amore, Puglia Region – Arti, whereas Marco Calderoni, Politecnico di Milano, will face the specific rules of Egyptian solar thermal ordinance. “Innovative regulatory instruments for local support to distributed solar technology: Solar Ordinances” is part of MED-DESIRE training sessions promoted by IMELS and Studiare Sviluppo in Tunisia, Lebanon and Egypt in collaboration with the Tunisian National Agency for Energy Conservation (ANME), the Lebanese Center for Energy Conservation (LCEC) and the Egyptian New and Renewable Energy Authority (NREA), to increase energy efficiency and distributed solar energy technology in the Mediterranean Partner Countries. MED-DESIRE training initiative is set into 6 training courses, two sessions per Country, devoted respectively to financial instruments for distributed solar technology market support and to innovative regulatory instruments for local support to distributed solar technology, namely Solar Ordinances, scheduled from September to November 2015. The 3 training initiatives on “Solar Ordinances”, held in Tunisia, Egypt and Lebanon, address relevant political bodies and public administrations responsible for energy policy and local development planning in their own Countries and Regions. Trainings will take place in each selected local Administration, with the aim to provide the staff with the necessary skills for implementing solar ordinances. To this purpose, international experiences and best practices will be presented.